A great addition to our ever-expanding range is the Polaris Bar Stool Brown. 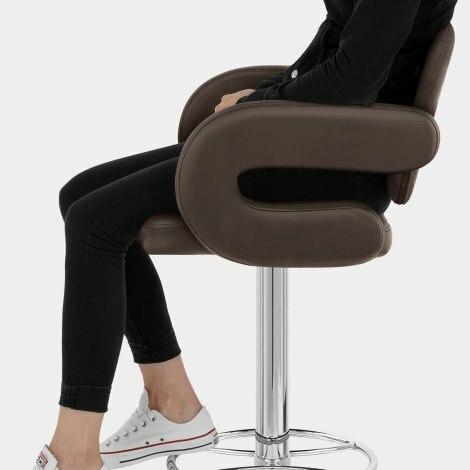 This deeply accommodating item treats users to unprecedented levels of comfort and style. Choose something that's both spacious and special: choose the Polaris Stool Brown. Complete with supportive armrests and a deeply padded backrest, the Polaris may be just what you need if comfort is what you care for. Plus, deep button detailing give the brown faux leather a classic and refined look. The chrome metalwork gives off a reflective sheen and incorporates numerous useful features. The height-variable gas lift allows the customer to adjust the height of their stool at the pull of a lever, making it easier than ever to adjust the stool to suit your needs. In addition to this, the Polaris rotates 360-degrees, easing entry and exit from the breakfast bar. An inclusive stool, the Polaris even includes a protective base rim in order to help prevent scratches to your kitchen floor. "They are very comfortable and well made. 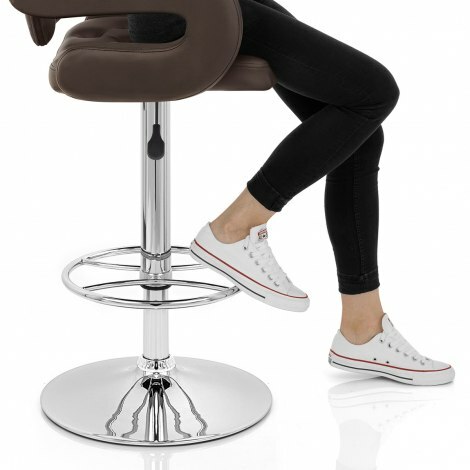 Excellent"
These Bar Stools are very comfortable from the deep seat area to the cushioned arm rests all dressed in a very comfortable leather. Aesthetically very nice on the eye. these stools are very comfortable and stylish. very pleased with them. Would recommend. They were even delivered the next day. very impressed. Bought 4 of these bar stools in brown faux leather. Well made, easy to put together and very comfortable. Ordered them one day and they arrived the next day well packaged. Very good service. 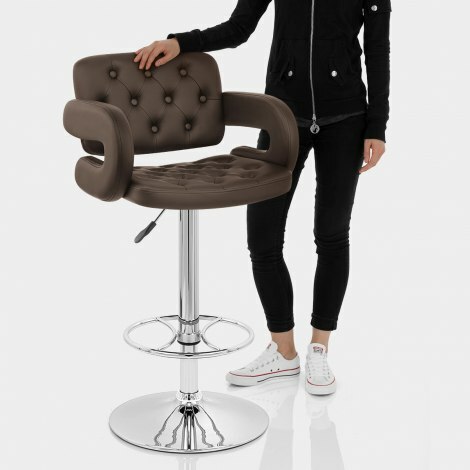 i order one bar stool for a friend it arrived next day was so impressed with the stool ordered another buy phone straight away the person at the other end of the phone was absolutely helpful would definitely use this company again excellent.